After one sip of our Mumbai Hot Chocolate, you’ll notice the perfect combination of sweet and heat. 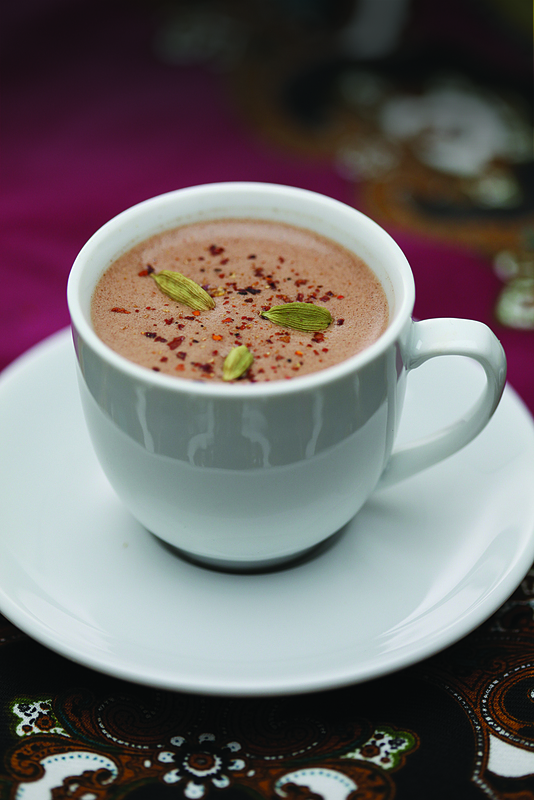 This delectable chocolaty drink has a unique blend of spices from around the world, like cinnamon, cardamom and chili flakes. Made with the Capresso froth PRO, you’re sure to enjoy this taste sensation. Place the heating disk in your Capresso froth PRO and ensure it is securely snapped inside the bottom of the frothing pitcher. Add milk and cream into the frothing pitcher. Place lid and press the Hot button. After three minutes remove the lid and add the remaining ingredients, except the chili flakes. Replace lid and wait for frother to automatically shut off. Pour into small cups and sprinkle with chili flakes before serving.